Where the Arts and Community Meet! We have a lot going on this fall. From drawing to leaf printing, from adult watercolor to kids sculpture. Don't miss out on the creative fun happening at the Round Hill Arts Center! Home School Sculpture Lab Jr.
Stop by during the month of May to check out the artwork created by students from Harmony Middle School. We're excited to share their work with you, and we're open pretty much daily, so stop by. An artist's reception will be held on Sunday May 20, from 6 - 7:30pm. We hope to see you there. The Round Hill Arts Center is proud to once again play host to artists on this annual showcase of the arts in Western Loudoun County. Make a plan to stop by the center June 2nd and 3rd to check out the artwork of Carrie Althouse - pottery, Meredith Hilt - jewelry and metalwork, Mary Kenesson - fiber art and jewelry, Jeff Miller - photography, and Anne Stine - mixed media. But don't just stop with the center, make certain to see as many of the 63 artists and their art studios as you can because many of our current and former instructors will be on the tour as well. For more information, check out the WLAST website. 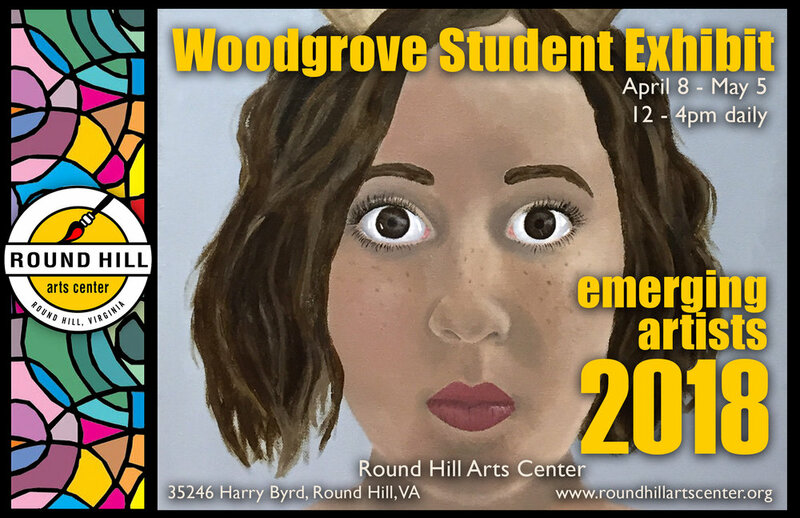 Stop by the Round Hill Arts Center to see our current exhibit of artwork created by the art students of Woodgrove High School. We're excited to share the work of these amazing young artists. Their work will be on display throughout the month of April, and an artist reception will be announced soon. We're offering a brand new session of kids' art classes at the Round Hill Arts Center beginning in April. From homeschool classes to after school classes, we have your kids covered for the month. Unfortunately, we're not able to offer our usually Saturday morning class due to scheduling conflicts, but we hope to bring back Saturday classes in the near future. 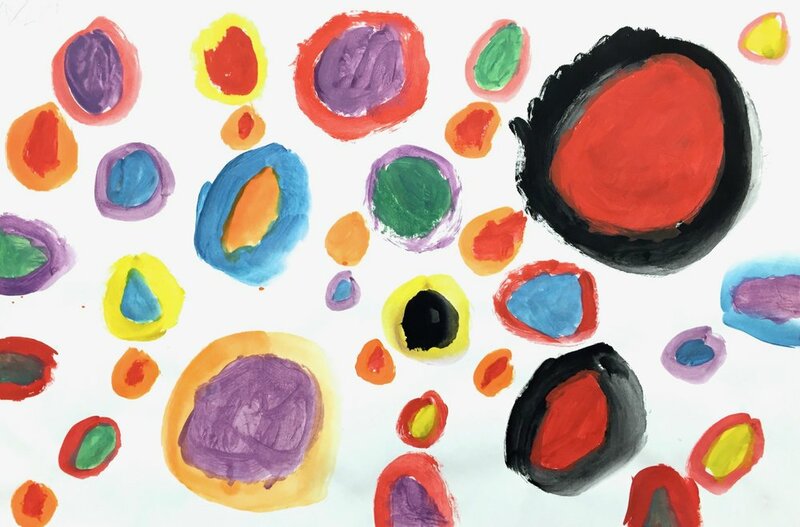 Check out our Art Classes for Kids and Teens to see what we have in store for your children, and we even have a special Mother's Day Paint Your Own Pottery workshop on April 21. Sign up now so that you're children don't miss out, but don't worry, we hope to have our May kids' classes up soon as well. We are excited to announce the launch of our new website! You still find all of the same stuff as our old site - all of our classes, workshops, events, and more, but hopefully in a sleeker, more user-friendly format. So take a look around. Check out our latest classes, workshops, and summer camps. And let us know what you think.